"It's my favorite thing to do on the computer... even better than my Gmail!" "It's like Webkinz World, just lots more interesting, and I'm learning more." "May I play Always IceCream? I need to earn my gold medal in multiplication!" These are quotes from my 10 year old daughter about our latest review for The Old Schoolhouse...Always IceCream. I think this one review where I can say there were no negatives! In the past I have always felt the need to be standing over my daughter's shoulder while she is online... after a couple of times with Always IceCream I could see this was a quality, safe experience for her. Now, I can send her to the computer for her Always IceCream time and know everything will be fine. I can also get progress reports by logging into my parent account and see EXACTLY what she has been doing on the site. 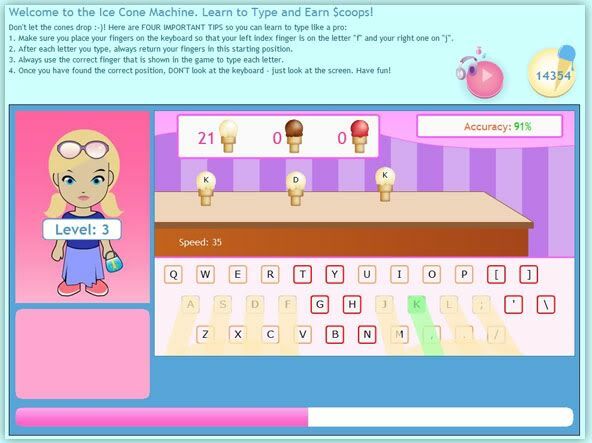 "Always Icecream serves "virtual ice cream," or $coops, to girls in exchange for practicing basic math, advanced math, geography, language arts, science, typing, and more. 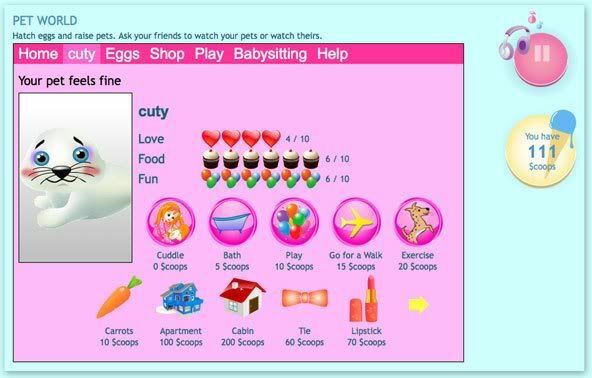 Girls use $coops to play fun games, decorate their homes on MiniWorld, and feed their virtual pets on Pet World." 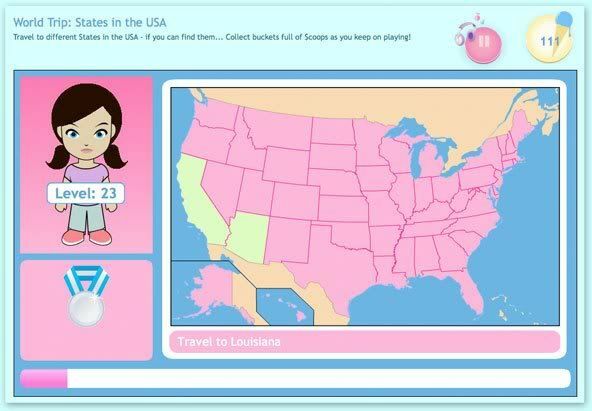 My daughter has memorized the location of all 50 states, largely due to the quizzes on the site. She is learning! And, she is motivated to learn more! She has also practiced her typing skills. She loves moving up several levels at a time and receives praise and recognition with scoops and medals. One of my favorite features as a parent has been my ability to award my daughter scoops - I can award them for specific chores she does, or I can award them just because she's a "great daughter". She was thrilled to get 100 scoops from me because I just thought she was great! At dinner one night recently my daughter was sharing some Classical music trivia with us. When I asked where this came from she replied: "Always IceCream. It was fun, mom!" I also loved coming to the computer and seeing my daughter playing a Bible game on Always IceCream! Always IceCream gets a huge two thumbs up from my daughter and I. If you have any further questions, you can visit their website, or you can read some my crew mates' reviews. You can also connect with Always IceCream on Facebook. This might make a great Christmas gift for your 7-12 year old daughter! Give some of the free games a try and see for yourself!